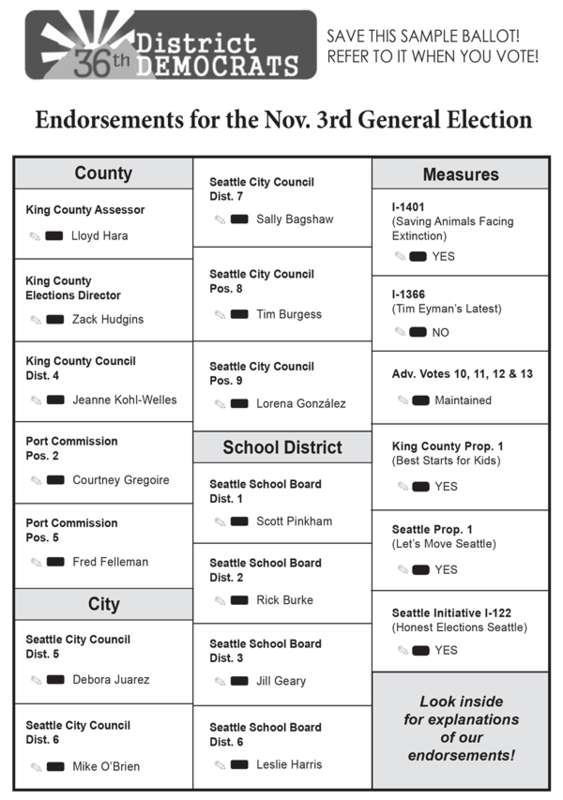 Endorsements & Voter Guide for the 2015 General Election! Each election the 36th puts together a concise, packaged voter guide that’s distributed to thousands of doors across the district. It contains useful fantastic information about our endorsements, a sample ballot, a letter from our chair, and advertisements from endorsed campaigns. Download your own copy here and check out the full content of our voter guide below – and remember to mail in your ballot by November 3rd! 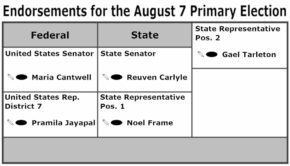 When deciding how you will vote in the November 3rd General Election, I hope you will consider the endorsements of the 36th District Democrats. 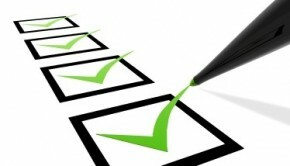 We carefully screen the candidates for experience, effectiveness, and adherence to the Democratic Party platform. We dive into the policy minutia of ballot measures to determine whether they reflect progressive values. Our endorsement process is extensive and involves hundreds of hours by dozens of volunteers to help vet the candidates and ballot measures. You can find more information about our endorsements here, and we’d be honored to have you as a member of our organization! Lloyd Hara has done an excellent job as Assessor and deserves re-election. He has implemented process improvements, introduced new technology, and developed a reputation for transparency and integrity that serves the public well. Vote to re-elect Lloyd Hara. Zack Hudgins has the experience and skills necessary to replace Sherril Huff, who is retiring this year. He has specific ideas on how to promote voter registration and lower the hurdles to voting, including for non-English speakers. Hudgins has served in the State House of Representatives since 2001 and his background in the technology industry provides him a unique understanding of the complicated issues surrounding computerized voting. A Harvard Law graduate, Courtney Gregoire has had an impressive career as an attorney, working for Sen. Maria Cantwell, for the US Dept. 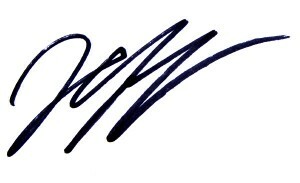 of Commerce, and most recently for Microsoft. As Port Commissioner, she has advocated for creating and maintaining quality jobs while protecting the environment. The Shell No protests earlier this year showed that we need an unapologetic environmental champion like Fred Felleman on the Port Commission. Felleman has been an environmental consultant and fisheries expert and has been closely involved in Port affairs for over a decade. Sen. Kohl-Welles has been a leader on social justice and economic equity issues for decades, most recently in the State Senate since 1994. A recent Washington Post analysis of state legislatures and legislation concluded that Senator Kohl-Welles was the most effective Democrat in the Washington State Senate. We are excited to witness her leadership in her new position on the County Council. Debora Juarez is an enrolled member of the Blackfeet Nation, was the first in her family to go to college, and rose to become a Superior Court Judge and Executive Director of the Office of Indian Affairs. She understands the transportation, housing, and public safety issues unique to her North Seattle district. Mike O’Brien has spent his first six years on the Council successfully advocating for progressive causes, especially concerning the environment, social justice, and campaign finance reform. We view his willingness to push the envelope as a breath of fresh air on a council that has tended toward caution and incrementalism. As chair of the Parks and Recreation Committee, Sally Bagshaw led a reform of the community center system, saving $1.2 million. When the centers were threatened by decreasing revenue in a difficult economy, she found a way to keep them ope. She also successfully facilitated the delicate task of transitioning the Seattle Parks system from relying on a series of levies to being supported by a permanent Parks District. Sally Bagshaw has proven to be an effective leader on the council. When liberal voices on the council propose solutions to City problems that do not have majority support, Tim Burgess has repeatedly worked with the sponsors and brokered reasonable compromises that have the votes to pass. 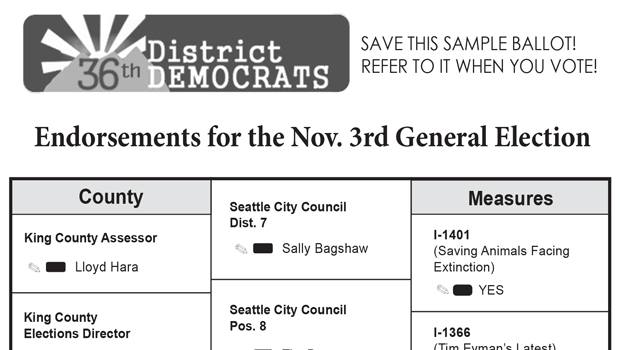 This form of leadership from Burgess has helped pass Seattle’s Sick and Safe Leave, universal pre-k, a $15/hour minimum wage, and more recently a resolution calling on the state legislature to allow cities to regulate rent increases. Lorena González is the child of migrant farm workers from Mexico and through hard work and scholarships rose to become a nationally recognized attorney and civil rights leader. We were impressed with her story, her accomplishments and her intellect and believe Seattle would be well-served by electing Lorena González to the City Council. Scott Pinkham is an educator at the University of Washington, where he serves as a Lecturer on American Indian Studies and as Assistant Director of Diversity and Access for the Minority Scholars Engineering Program. As a parent of a Seattle Public Schools student, Pinkham has demonstrated he is committed to proper oversight of the school district. Rick Burke attended Seattle Public Schools, as did his wife and children. He has served in many education volunteer roles, including Co-President of the PTA at North Beach. An engineer by trade, Burke is passionate about math education and served on the Washington State Board of Education Math Panel. Jill Geary is a former Administrative Law Judge and has experience adjudicating hearings for the Office of the Superintendent of Public Instruction, including special education cases. She has a firm grasp on the problems facings Seattle Public Schools, including inadequate state funding, an overreliance on standardized tests, and lack of classroom space. Leslie Harris has spent over a decade studying Seattle’s school system with the attention to detail she brings to her day job as a litigation paralegal for a local plaintiff’s firm. Smart and tenacious, Harris will bring a refreshing perspective to a board that has fallen short on oversight of the district. She is a far better choice than the incumbent, who has missed the opportunity to show leadership on the school board. The Ports of Seattle and Tacoma together account for the third-highest amount of illegal wildlife trafficking, such as the ivory trade. I-1401 would prohibit the purchase, sale, and distribution of products made from a list of 10 endangered animals being exploited to the point of potential extinction, and will be enforced by strong penalties. 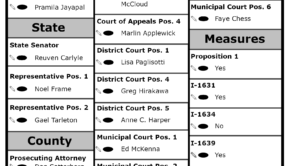 Tim Eyman is back. I-1366 demands that the legislature pass a constitutional amendment requiring a 2/3 threshold in both houses for tax increases, otherwise it would automatically defund the state budget by $8 billion over six years. Vote NO on this irresponsible Tim Eyman project. A Tim Eyman-backed policy requires any tax increase to go before the voters for a non-binding advisory vote. The four decisions in 2015 all involved narrow areas of the tax code, passed with bipartisan majorities, and increased government revenue in an era of never-ending budget cuts. Although nonbinding, please vote to MAINTAIN these tax decisions. The “Best Starts For Kids Levy” would fund services to invest in children to support their development and prevent negative health, social, and economic outcomes. Funds will be directed to providers whose services are demonstrated to be the most cost-effective and impactful. Over time, the results will not only be a moral and compassionate victory, but will likely greatly reduce criminal justice expenses. Seattle’s existing transportation levy, Bridging the Gap, is expiring and this year’s “Let’s Move Seattle Levy” will pick up where it left off. While not perfect, we strongly endorse a YES vote on this levy. Over nine years, Prop. 1 would fund RapidRide corridor projects, improve light rail connections, fund Safe Routes to Schools projects, as well as ongoing maintenance and replacement projects. Honest Elections Seattle is a package of good-government improvements that will limit the effects of big money in Seattle elections. Supported by a broad array of progressive groups and eight out of nine councilmembers, Honest Elections Seattle directly limits contributions by those doing business with the City, accelerates contribution reporting deadlines, restricts former elected officials from lobbying immediately after leaving leave office, and establishes an innovative public financing program to encourage everyday people to participate in our democracy.